Are you an adventurous yoga lover? Do you love trying yoga in new places, or with new themes? 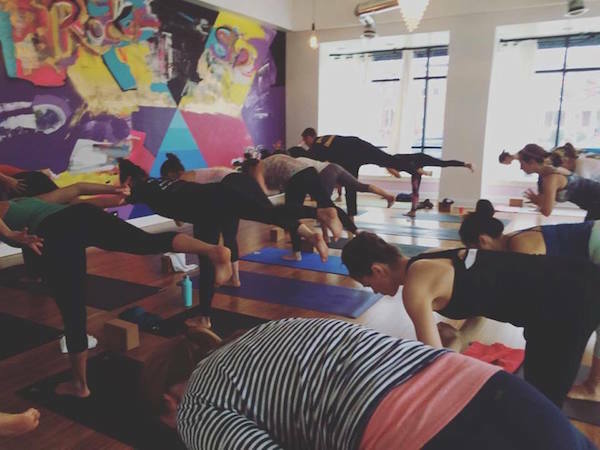 Located in Washington, DC, Heart BEATS is 405 Yoga's mindful, body positive, move-how-you-feel flow choreographed to some of the very best jams (think everything from hip-hop and your favorite R&B throwbacks to today's electro and pop hits). This flow is meant for letting go and connecting deep. With repetitive flows, low lighting, and lots of space for self-guided movement, they encourage students to forget about how they look in a pose and focus on how they feel, cultivating self love and acceptance with every breath. Dancing is, of course, encouraged! The lighting is super low so all you can see is your 3x7 mat, and all you can hear are the beats and rhythm of your own breath. Check out Heart BEATS here! Do you love getting your asana on, then chilling out with a beer? Then check out BrewAsanas. Take a one-hour Vinyasa yoga class, and follow it up with a beer at a local brewery! 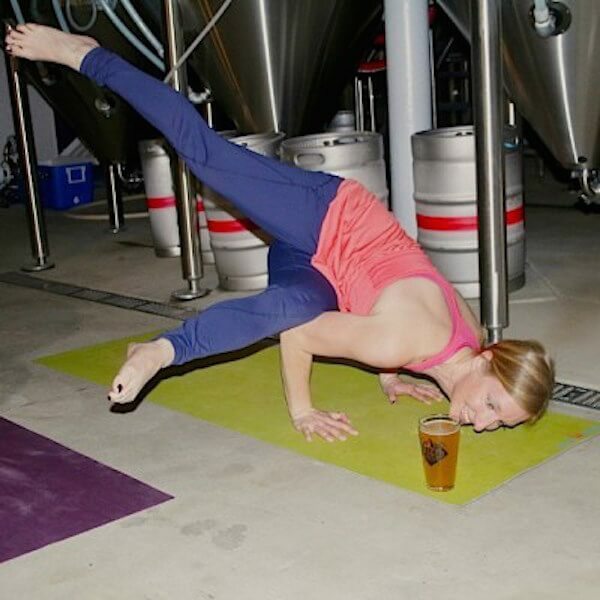 What could be better than doing yoga, and supporting local beer brewers at the same time? For people of all types, from the yoga newbie to the beer aficionado, you're sure to love BrewAsanas. Find out more about it here! If you're in Seattle and in search of a new yoga class, give Noise Yoga a go. 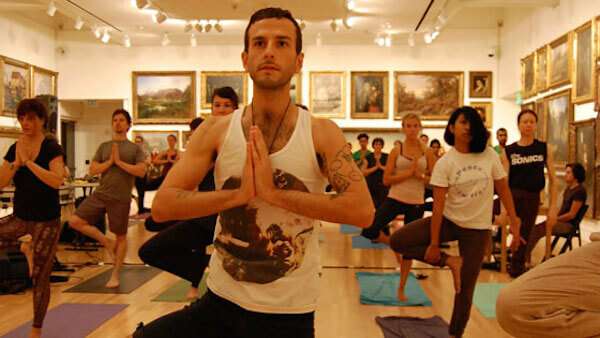 In Noise Yoga, you combine yoga with experimental music, led by yoga teacher Emily Denton. They say that, "the rich and challenging experience of experimental music leverages the focus and bodily awareness fostered in the practice of yoga. The series builds on Seattle’s deep network of boundary-pushing musicians and aims at connecting communities and exposing audiences and artists to new experiences." If that's right up your alley, check it out here! Have you heard of pop up concerts, where an artist just appears with little to no notice? Well that's the idea behind POP UP YOGA! POP UP YOGA in Zürich, Switzerland changes location on the reg... be it in an art gallery, in the park, on a roof, or in a nightclub. If you're all about stop, drop, and yoga, then POP UP YOGA might be the class for you. Due to Colorado's relatively recent legalization of cannabis for recreational use, it's no surprise that some have taken to combining cannabis and yoga. At Healthy Honeys, there’s a class called Get Fit and Stay Lit that combines vaporizing, “the preferred method of indulging for the health conscious,” with yoga. So if you're in Colorado and this sounds like something that you would enjoy, check out Healthy Honeys and their offerings here! Love Hot yoga, but feel that you're stuck in the office too much? Don't fear, Hotpod Yoga is here! Hotpod Yoga has a portable, inflatable, heated yoga studio that they can take from office to office, bringing Hot yoga to all. 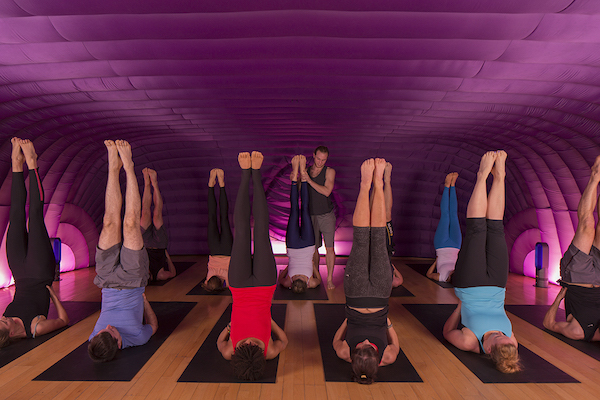 So if you feel like you need a break from work and want to get up and yoga (and feel like you're in a bouncy castle, to boot) call up Hotpod Yoga! Find out more about them right here. Are you the ultimate dog lover? No need to kick them off your yoga mat while you’re practicing: they can join the fun! That's what Suzi, the founder of Doga (or Dog yoga) intended when she started with her Cocker Spaniel, Coali. Now you and your four-legged best friend can practice together, Warrior poses and all. Find out more about Doga here! Want to feel freer in your yoga practice? Then try doing yoga naked! At BOLD & NAKED Yoga, they help you "transforms any personal limitations, restrictions, inhibitions and shame to create a sense of total freedom." No need to feel awkward here, since the Bold Naked team is specially trained to inspire you to be your best self, sans any kind of restrictions. Find out more about BOLD & NAKED Yoga here! If you're a winter lover, then you'll adore Snowga! Snowshoe up to some vineyards, with a 30 minute yoga class in the snow beforehand. Enjoy the views, drink some warm tea, and do more yoga. This class will get you in the holiday feeling, and cozying up by a fire afterwards will feel absolutely amazing. Get more info about Snowga here! If you love hanging out in clubs, and also balance your time with some yoga, then give Glow Flow Yoga a shot. With DJs, blacklights, and fluorescent body paint, you can't go wrong! Dance, do some yoga, and enjoy glowing along with all your friends. 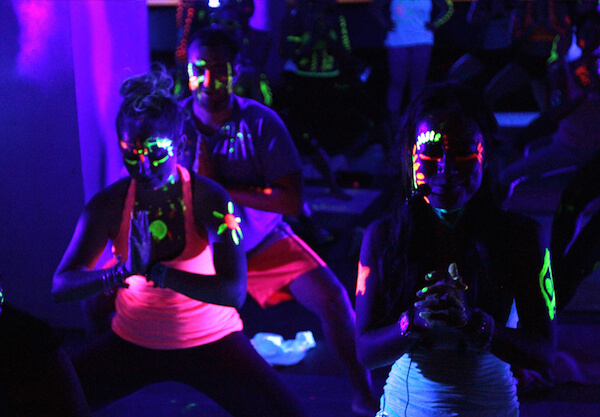 There's no better combination of fitness and fun than Glow Flow Yoga. Which of these unusual classes is your favorite? Do you have any extraordinary yoga classes to share? Let us know what they are in the comments below!